It is always a good habit to check for the ingredients list before purchasing a product as this can help you avoid skin and hair problems which arise from harmful and harsh chemicals. We here at Blingsparkle are all for organic and herbal beauty brands with natural ingredients. I prefer to use pure almond oil for under eyes and coconut oil for hair instead of going for lightweight oils available in markets which have mineral oil as the main ingredient. I strongly believe nature has the most effective , harm free remedies for all our personal care needs which can help enhance our beauty. I have always preferred natural and herbal products and Banjara's is one such brand which believes that nature’s beauty is everlasting and if you take care of Nature, Nature will take care of you. It is true isn't it? If pure nature can make the world we live in so beautiful and alluring why can't we trust the same goodness of nature to enhance and take care of our skin?! Banjara’s has been a fast growing Indian herbal beauty care brand with 60+ products in its portfolio catering to personal care needs of the entire family. This brand uses natural ingredients like fruits, flowers, fullers clay, herbs in its products to bring you quality products which deliver without causing any harmful side effects. Banjara's as a brand have deep understanding and their love for Nature is reflected in the purity, quality and efficacy of the products. This brand is also listed under PETA for being cruelty free and not testing on animals. If you have sensitive skin or mature skin it is best to go for herbal and natural ingredient rich products which deliver results without causing any harm or irritation to skin and scalp. Banjaras also don't use any kind of preservatives or animal ingredients in their products further reflecting their love for all things natural and pure. 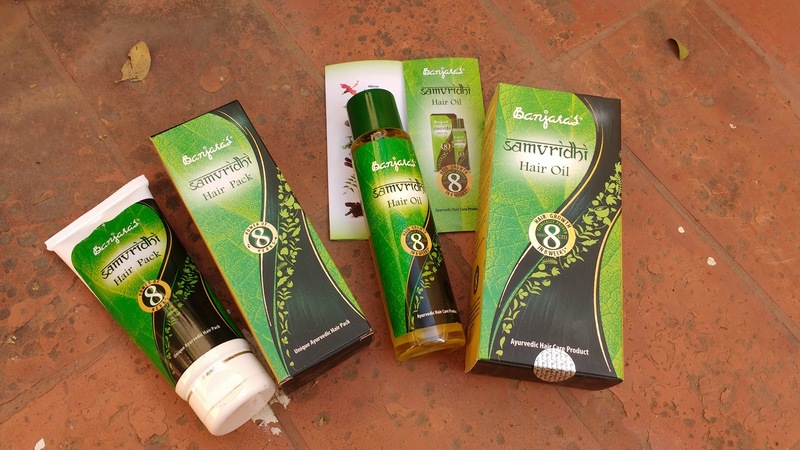 If you follow beauty reviews on Blingsparkle you might have already read reviews of several Banjara's products which have worked beautifully for us and the best thing about their products is their ease of availability and affordability. Their product range includes, face packs, face washes, hair oil, hair pack, skin+ve beauty cream, facial kits, hair dyes and more. A gentle yet lightly exfoliating face wash having a dreamy fruity fragrance. This facewash lremoves dirt particles and greasy oil particles from my face and cleanses my skin easily without leaving it dry. If you are too lazy to make face packs at home you can try one from banjaras which has goodness of fullers clay and papaya. This face pack gives a natural glow by exfoliating and removing blackheads in under 15 minutes. Banjara Black Heena Brazilian is a natural and safe way to colour your hair. This hair dye is enriched with amla bhringraj, brahmi and shikakai to give you long lasting colour.